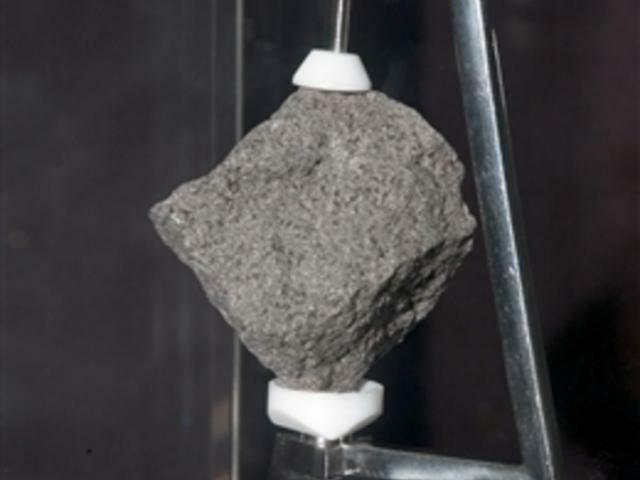 A sample of a moon rock brought back from the Apollo 11 mission. A former NASA investigator who has spent many years tracking missing moon rocks is closing in on his goal of finding all 50 lunar samples gifted to U.S. states after Neil Armstrong's first steps on the moon. In recent weeks, two more of the moon rocks that dropped off the radar after the 1969 Apollo 11 mission have been located by reporters in Louisiana and Utah. Now, the tiny stones gathered by Armstrong and Buzz Aldrin remain missing only in New York and Delaware. Attorney and "moon rock hunter" Joseph Gutheinz is hoping they can be located before the 50th anniversary of the Apollo 11 mission landing on July 20, 2019.